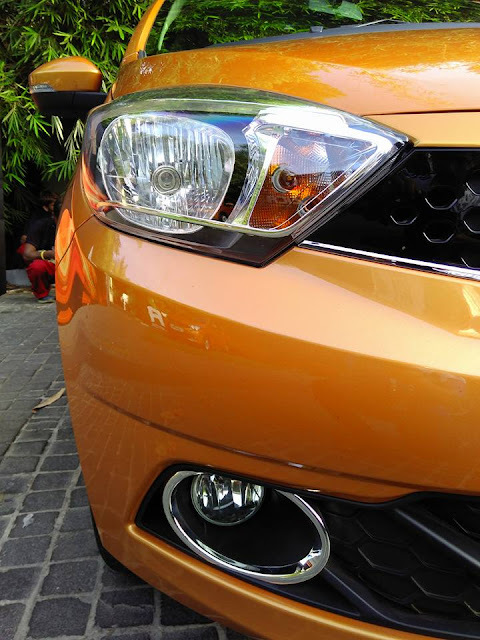 I wrote about the ZICA TIAGO launch event details in this previous post. Many of you have said you're waiting for my detailed review of the car. So without further delay, here it is. Some theory first with interesting insights. We don't get an opportunity to know this kind of insights unless we attend media events. That is why I took extra effort not to miss this event. 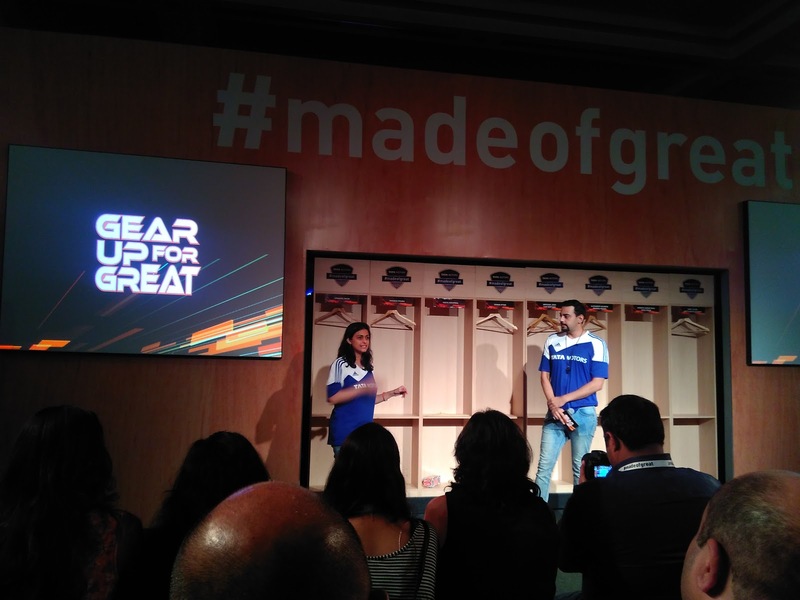 Tata Motors association with Lionel Messi. Tata Motors recently signed up Lionel Messi as their Global Brand Ambassador. Why this guy of all people out there? Many brands sign up Bollywood stars or cricketers who are more popular with Indians than an international football player. Delna Avari who heads MarCom for TATA Motors explained the reasons. Lots of effort has gone into making of Zica Tiago. 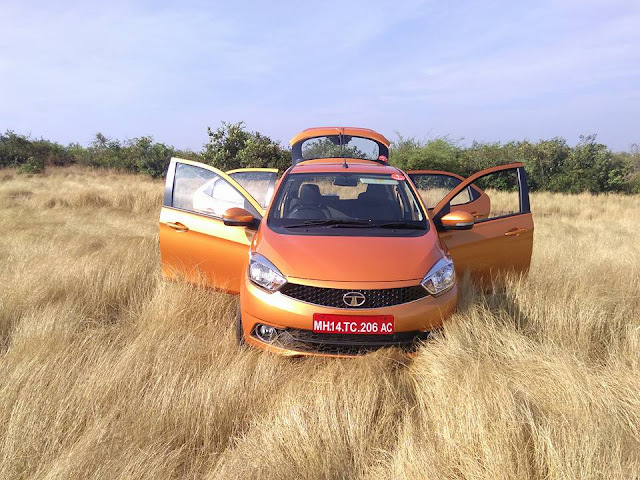 2 years ago, Tata Motors management decided to introduce a new hatchback ground up. Instead of taking an existing car and thinking of improving it, Tata wanted to begin afresh. 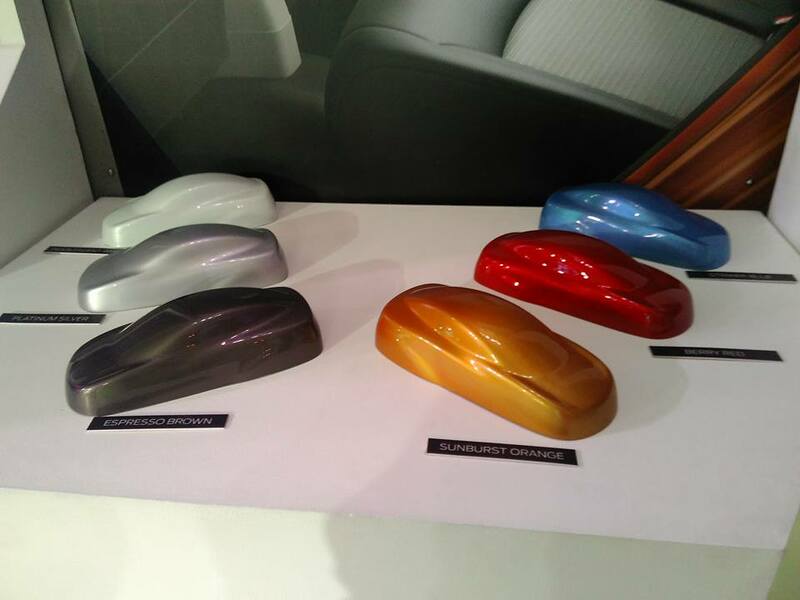 Tata Motors has three design teams- one in Pune, one in England and another in Italy. 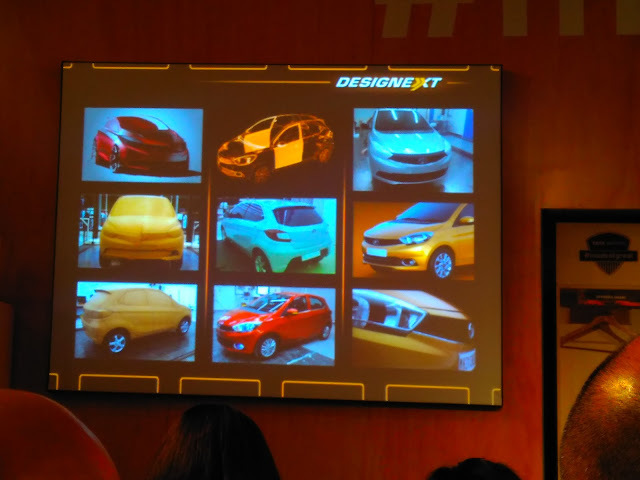 Selected designers from all these design units were put together and were given the mandate to design a brand new hatchback. They did a wonderful job and ZICA is in front of us in record 36 months. ZICA TIAGO is built on the principle CDRM- Custom Design Reference Model-about 7-8 parts are fully colour customizable in the car, making it very easy to personalize. We learnt about the design process where after initial sketches colour compatibility is tested at part level first and then at car level, various models, including full size clay models are made so that management can review it periodically and confirm it can be built exactly as designed. ZICA TIAGO gets 22 utility storage spaces, can hold full size water bottles among other things. Two small size spoilers help control airflow in car's favor. There're dedicated places for toll receipts, tablets and other everyday items. Hand brake is little offcentre (moved towards driver) which creates more space in between seats. First row seats are little thinner- this means increased leg and knee room for second row passengers. Fabric used is of premium quality compared to budget options used by competition for this segment. 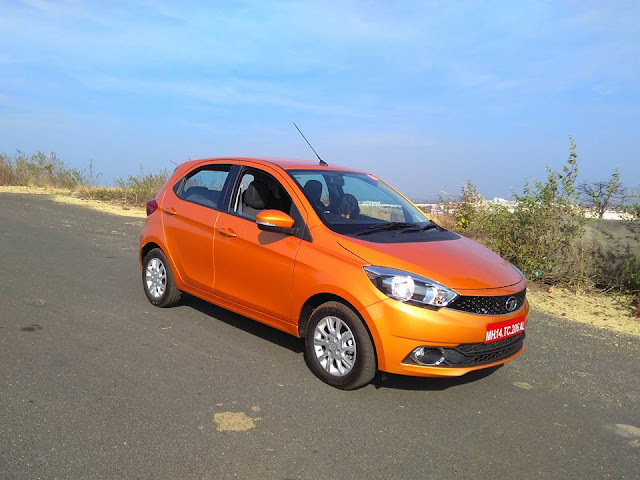 ZICA Tiago's colour options below- Sunburst orange will be the communication colour (colour that will be used in all ads)- event the red would look stunning. ZICA TIAGO gets two all new engines. Petrol is 1.2 litre Revotron Engine, same one from Zest and Bolt but slightly de-tuned (gives 5PS less). It is a 3 pot engine with ECO and City mode (first in the segment- no other entry level cars offer this). No Sports mode though. City Mode makes the car more responsive to stop go traffic and constant turns and gearshifts while Eco mode helps save some fuel at the expense of performance. Hydraulic lash adjusters, auto tensioner for belts etc are some well thought features contributing to engine's life, drivability and fuel efficiency. Diesel is a brand new 1047 cc 70 PS 3 pot unit built afresh. This engine is named Revotorq. It gets a balancer shaft to reduce vibrations. Diesel unit was using belt at the spot where petrol unit was using a chain. I am told this is due to cost reasons. DOHC is good. Diesel also gets City/Eco mode, another segment first. 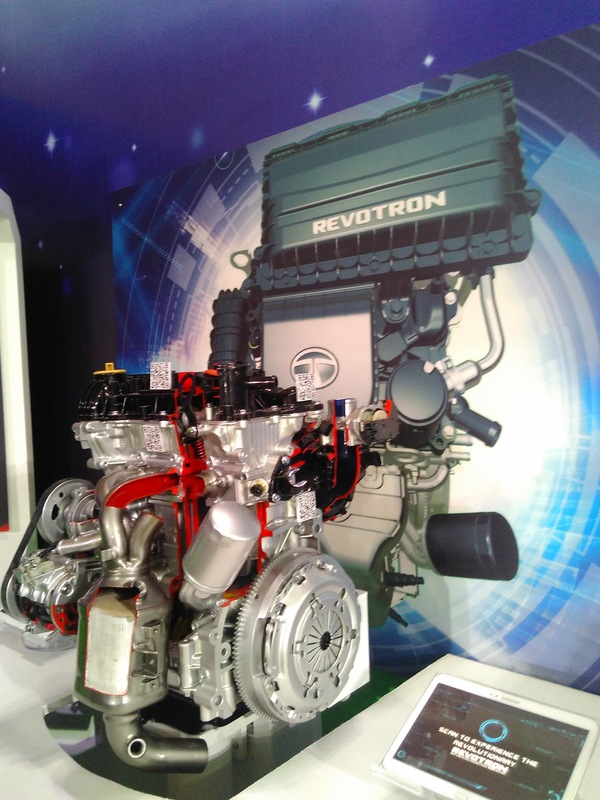 Pictures of these engine below: Below left- Petrol Engine and right-new Diesel Engine. Why are the engines so big? I asked Mr. Kulkarni a question- a rival brand has a one litre engine which appears so small and they claim it will fit into a suitcase. Why does your engines look so big? 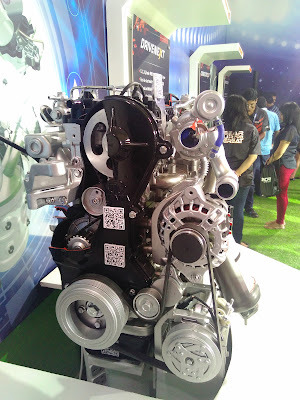 Mr. Kulkarni promptly asked "Have you tried putting that engine in a suitcase?" I said NO. 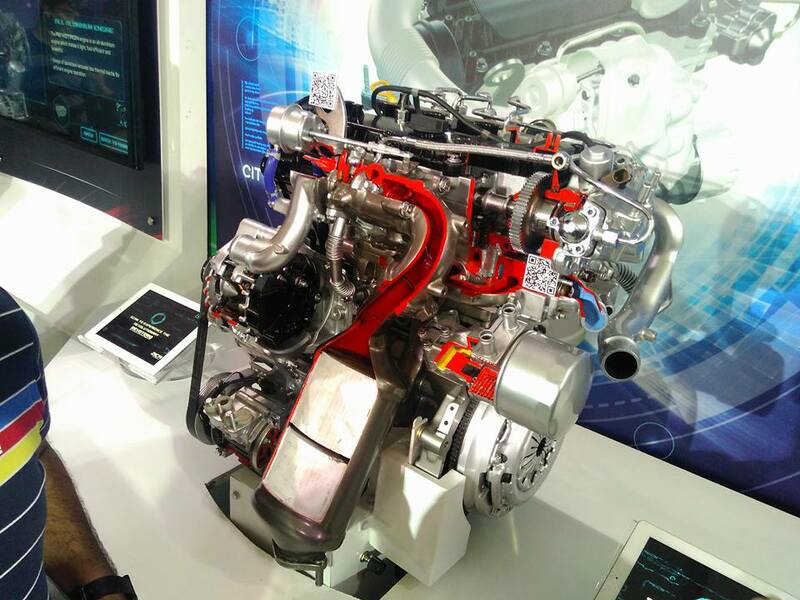 "They are only showing the main engine block and not all additional components needed to make full engine unit. So the claim is misleading." I asked if every small part can be replaced independently, so that customer doesn't have to spend a lots of money to replace whole assembly to fix a small component. To this the answer I got was "Yes, most of the damaged parts can be replaced stand alone, but keeping every small part replacable on its own will increase the complexity of spares management and service we have to maintain. (Diesel Zica has 5203 parts ) So we have designed it considering historical data as to what kind of damages usually occur and accordingly have planned the child part strategy. There is no rear AC vents but mail AC vents are designed such that it can distribute cool air uniformly to all passengers. Glove box is chilled, another segment first. ZICA Tiago has undergone a combined testing worth 120000 hours total (about 14 years worth) - not one car but total for several cars tested. Approx 20 lakh kms. Delna came on stage again to explain connectivity features in ZICA Tigao. 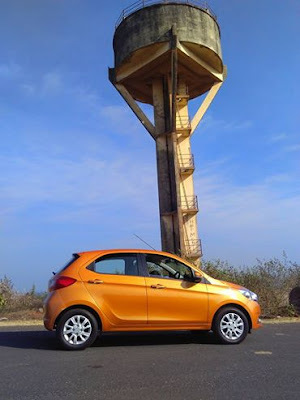 ZICA Tiago gets blutooth, MapMyIndia Navigation, 8 speakers, Juke app etc. Audio system is by Harman.The Juke-car app lets everyone in the car connect their phones with audio and line up their favorite song to be played next. This helps avoid an awkward situation where everyone fights for control as to which song should be played. 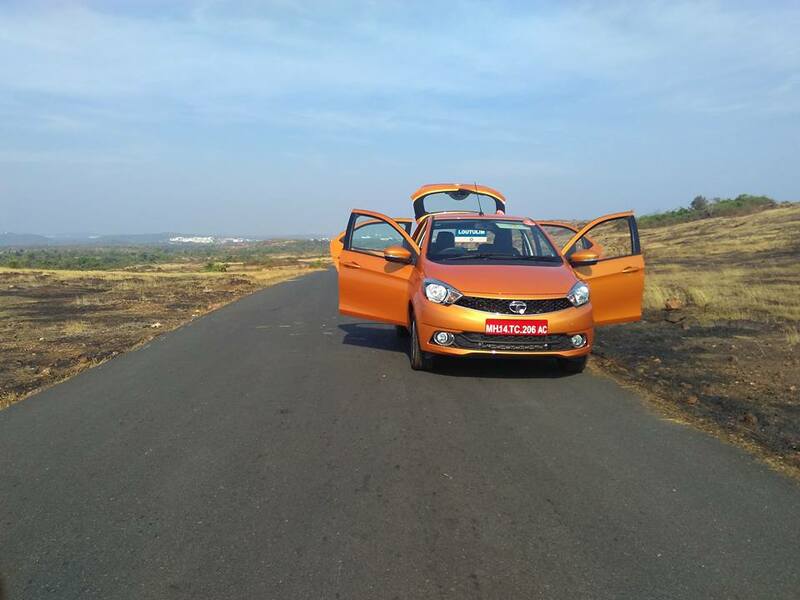 The Drive-How good is the new Tata Motors ZICA Tigao? Enough of theory. On Day 2 we drove the ZICA- I was initially assigned the diesel car, but later I tried Petrol also. Our drive was about 3-4 hours long and probably covered about 50 odd kms approx around Goa. Everyone who saw pictures of the car complemented the looks. So full marks to design team on that department. There are distinct lines here compared to Zest and Bolt, so uniqueness remains. Mirrors are also uniquely shaped- not square, not round, somewhat pentagonal. 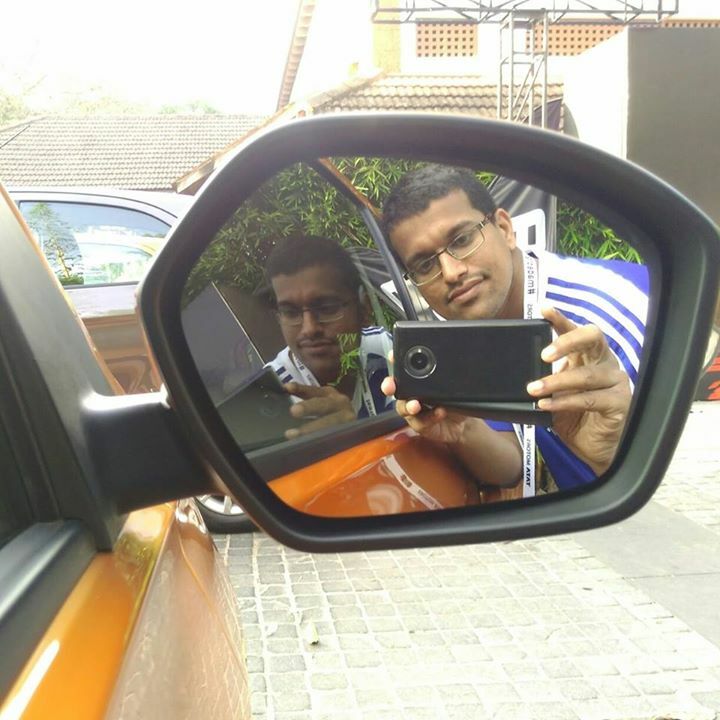 Couldn't resist clicking myself in it. The Driver information display is very well setup. 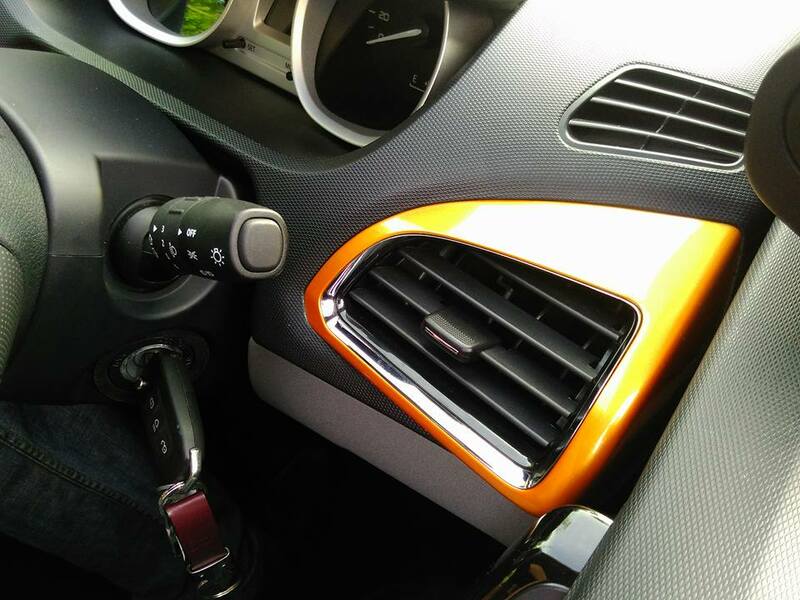 While all other cars in the segment just show some door is open, ZICA shows which exact door is open. This means you don't have to open and shut every door. Driver seat gets height adjust, again another segment first. Steering gets tilt adjustment only, no telescoping one but overall seating position and comfort is great. 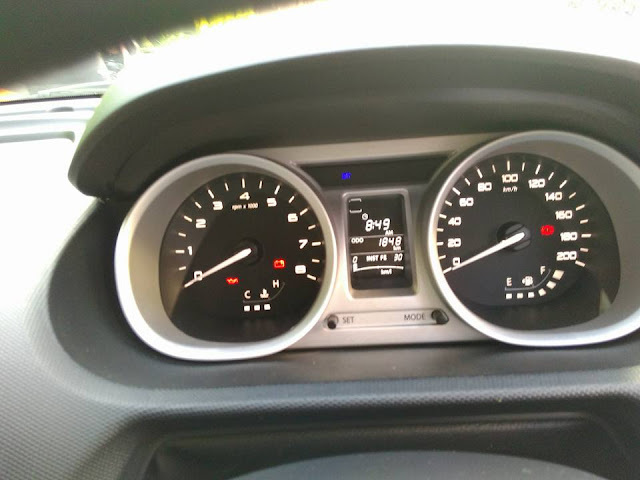 The protruding rings around the tachometer and speedometer is seen in few upmarket competition models already, but very nice to see them in this segment. 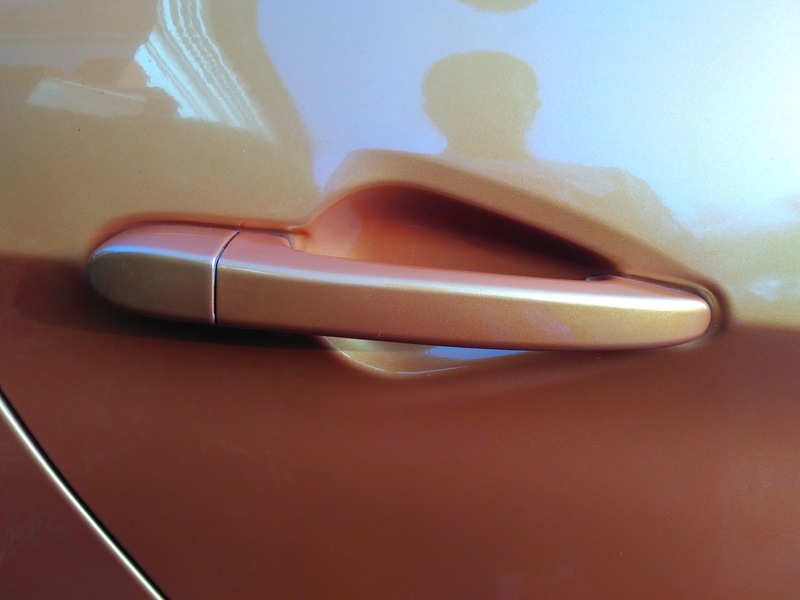 No rear camera, but parking sensor gets a proximity indicator- we can figure out how close the obstacle is. It doesn't differentiate between a rock or a stand of soft grass- which is sometimes bad but nonetheless, it is safe because technology can only do so much. Driver should take a look once before reversing. Petrol engine is lighter and more powerful, so it felt extremely peppy as I drove it. Diesel is more tuned for mileage and durability, not for sporty drive, which is perfectly fine for the target customers of the car. Second row comfort- I didn't spend much time in the second row (that is not where I belong) but Mrs Sharmila Rao who spent time in second row felt that it is very comfortable and suitable even for elderly people. ZICA also gets massive 242 litres of boot with parcel tray and lighting for the boot. Absolutely no complaints. I could negotiate curvy Goan roads in pretty decent speeds, could perform sharp turns etc. ZICA gets an EPAS (Electronically Power Adjusted Steering), not Hydraulic one as in many other cars. EPAS could give me enough confidence about the control over the car- never felt it car hesitated to obey the command. ZICA top variants will get dual airbags, ABS with EBD and corner stability control- all these will contribute to an enjoyable and yet safe driving experience in ZICA. Our drive was not long enough to calculate fuel economy. But during our drive, the onboard computer suggested avg fuel economy of about 16kmpl for diesel. But don't take this number as final because we didn't drive in most fuel efficient way. Different teams got different numbers during our drive, because of their driving pattern, distance etc. My guess is that getting 20+ won't be a problem if driven properly. Official fuel economy numbers not published yet. What is the on road price of ZICA? What we attended was not a commercial launch, so we don't know the price yet. However in our feedback form we were asked to guess the prize of ZICA and we were given price of Grand i10 and Celerio for comparison. So my guess is Tata Motors will try pricing ZICA at par or slightly below Celerio initially. 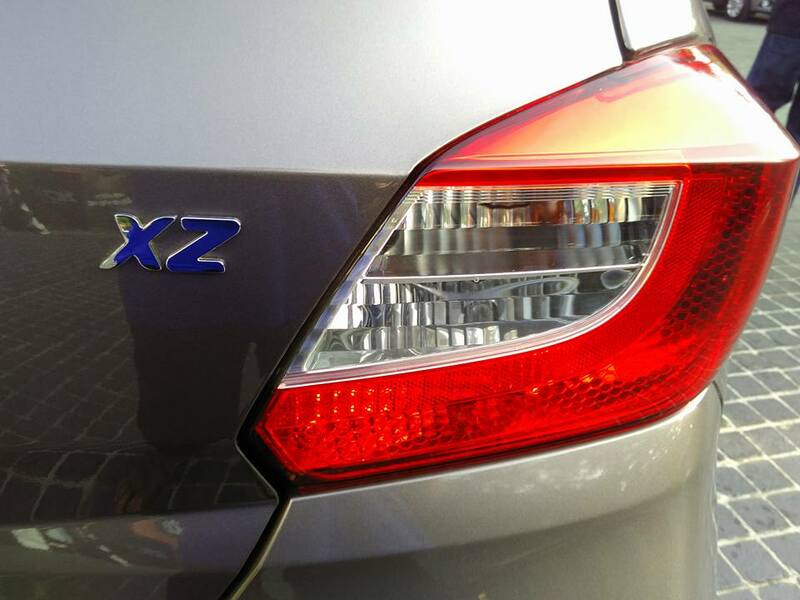 We will know sometime in Jan.
How does new ZICA fare compared to competition? Zica would compete with cars in 4 to 6 lakh bracket mostly. Maruti Celerio, some variants of Grand i10 & Figo, Chevy Beat are prime contenders here. Zica is bigger (wider, taller and longer) than most of competition- i10, Celerio, Beat etc. Only Grand i10 and Figo have a tad bigger dimension but these cars are on the expensive side and may not form direct competition to ZICA. Overall ZICA scores well in all departments. I couldn't spot any complaints or downsides during my drive. For those looking for a new, feature rich budget car in the range of 4-6 lakhs, ZICA will be s strong contender. Tata Motors has also spent lots of efforts in renovating dealership experience, training sales staff and improving other after sales service aspects. I have noticed it first hand at their showrooms. So if feel Tata's sales/after sales service is not good enough, do visit their showroom and find out the difference for yourself. Note- what we drove were pre-production cars in their top spec variant. Lower variants will surely miss some features. Buyers of this segment as not so cash strapped that they need to settle for a Nano/Alto or Kwid, at the same time if you ask them for more than 6 to 6.5 lakhs they will be hesitant to spend that much on a hatch. They will think they can get a sedan in that price range. Nonetheless buyers of ZICA would expect everything a first time car buyer would be looking for in a car- great looks, lots of features & utilities, long term reliability and after sales service and an ability to get personal with the car and let the car be one’s identity among peers. 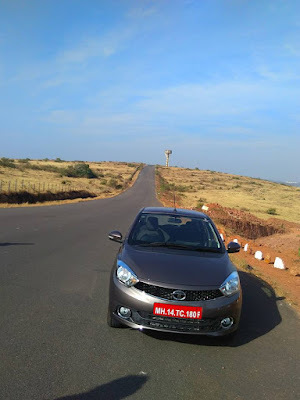 ZICA has got the looks, if you refer above table, it has best in class power and performance, has lots of segment first features (explained in first half of this post). Tatas have revamped dealership experience and after-sales service. Association with Messi will give the brand and the car a new identity many young customers will be proud to associate themselves with. So overall, Tata Motors have a great package on offer here. We need to wait for pricing and customer response. Also need to know variant vise features-hopefully lower variants also will get critical safety and convenience features. 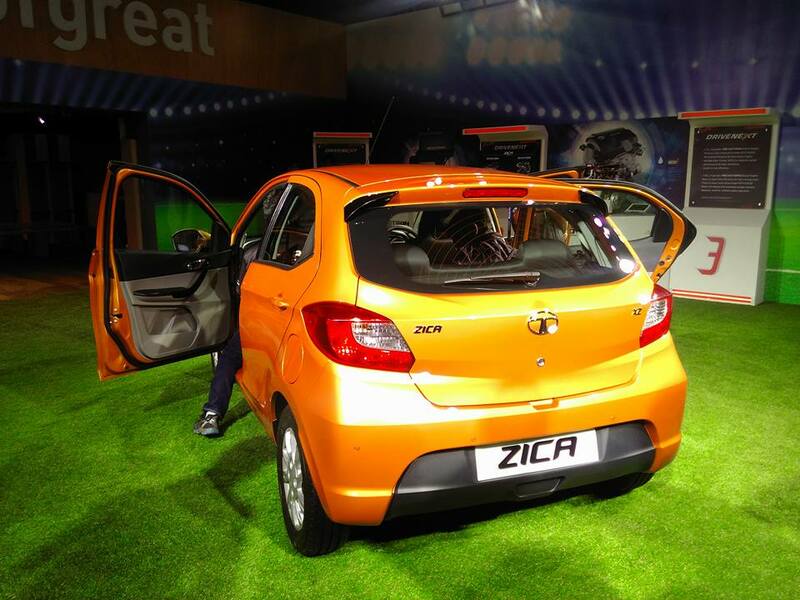 My Best wishes to the new Zippy Car ZICA from Tata Motors. Zica is made at Sanand factory along with new Nano. 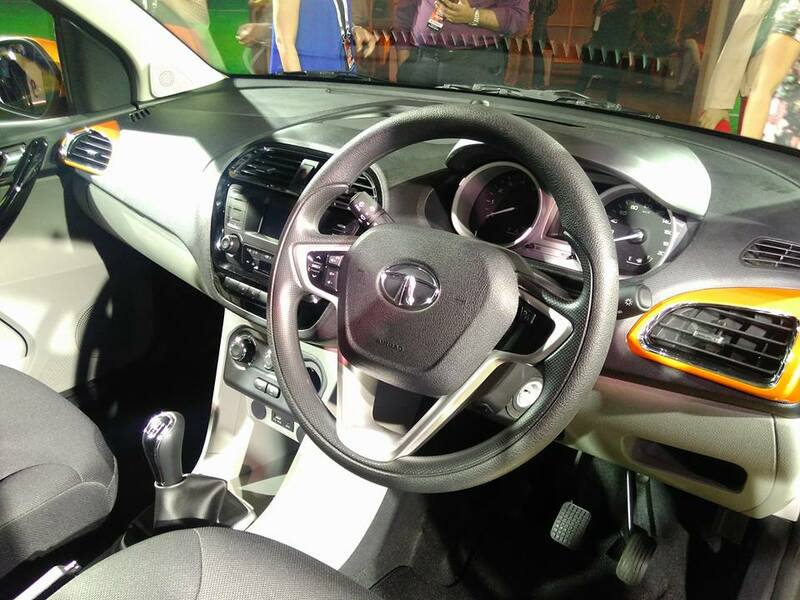 There are rumors of an automatic version and a compact sedan version which might be launched next year. We don't know yet. This is a very effective review...can't get any better than this! I loved to drive the Zica. Our Petrol car gave 15 kms/litre at the end. Wonderful to meet you at the event. Thanks. Petrol car will give a little more in reality- our short drive was not enough for proper calculation of avg- also we were not driving most economical way. Hi thanks for the detailed review. Given a choice, which one can a first time car buyer opt for? Petrol or Diesel? That is another topic altogether. Diesel cars are expensive but will work out cheaper per km if used a lot. Fantastic Review.Feel like going for it becoz of many segment first features.Let us wait for the price. Yes Satish. We should know in a month's time. 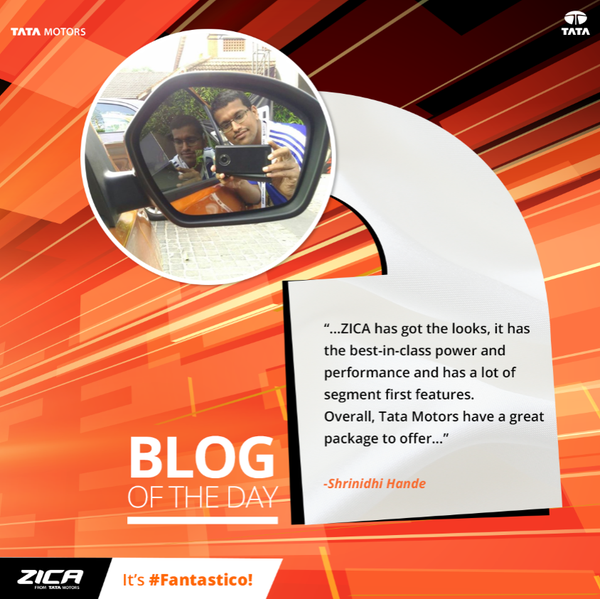 One of the best reviews yet of Zica! Have read your blog of Nano AMT before buying one so I am on my way in getting the third TATA product. How was the AC effectiveness and comments on clutch please? Thanks Damodar. Autocar review of Zica says AC and clutch are not very effective- we drove between 8-11.30 AM- not the hottest time of the day to check effectiveness of AC. I found it adequate during our drive, but of course if there're 5 people and time is 3PM when sun is hottest, experience can be different. But better AC means compromised fuel economy, so there is a trade off. In this segment that is a compromise we should accept. All cars are looking Indica. All peoples are calling it Taxi car. Please change the model. Is it a car? Is it a virus? tata is planning to change this model name because Zica virus. Tata must change its front looks of its cars. All their cars looks like indica from front. Let us wait for madket launch so that price etc can be known. Looks like a complete car. Doesn't look like Tata has made up their mind yet- they were supposed to announce the price in Auto Expo, but then we heard that they are looking for a new name because of ZIKA virus.